ABOUT US | Glenwood Ltd.
We now supply CORRIBOARD in various sheet thickness, 2mm 5mm and 10mm but other sizes are available to order. 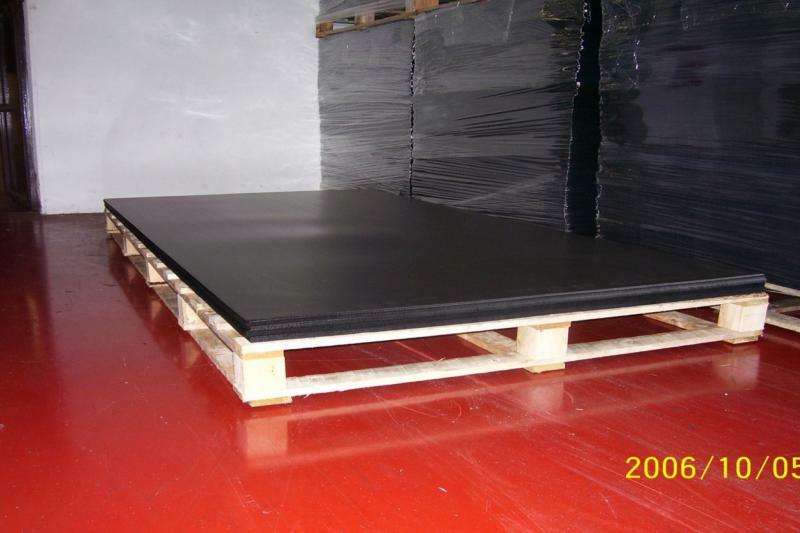 CORRIBOARD has multiple uses in the construction industry , it is an extremely versitile product and used widely for the protection of floors and walls and can be cut and fitted easily around any structure. It is ideal for the protection of floors , walls, stairs, partitions , windows and doors along with protection for colums, shelving and racking in industrial situations where ongoing work is taking place. SHRINKWRAP IRELAND ARE NOW SOLE DISTRIBUTORS IN IRELAND FOR VERISAFE FLAME RETARDANT SHRINK FILMS, RATED WORLDS BEST SHRINK FILM AND TESTED WORLDWIDE IN THE MOST EXTREME ENVIRONMENTS BY THE LEADING COMPANIES IN THE OIL & GAS AND CONSTRUCTION INDUSTRY. 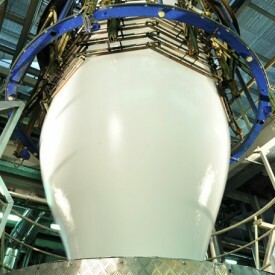 We supply an extremely durable shrinkwrap with a thickness from 180 micron up to 320 microns capable of withstanding extreme weather conditions without flapping or chaffing like other conventional covers used in the industry. Shrink Wrapping your products from as little as .78 cent per m2 / contact us today for current price list. We supply everything you need to get started and ensure your product arrives to your customer in the same condition as it left your premises. 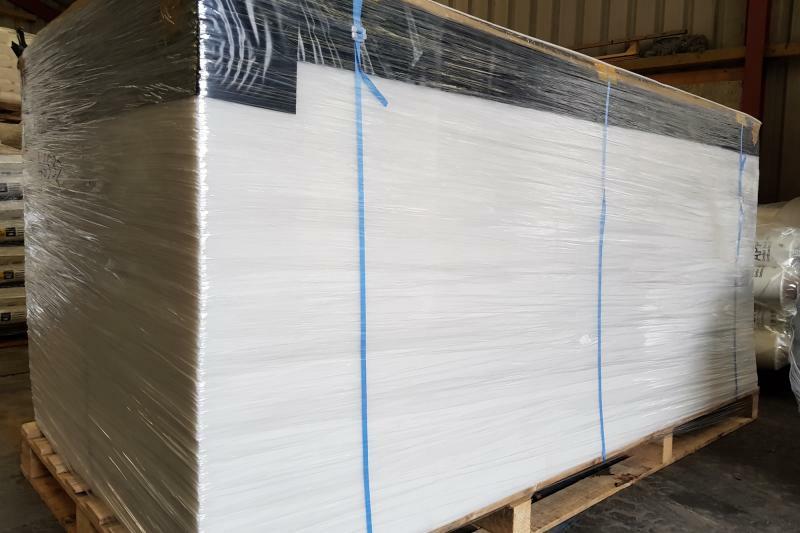 Our shrinkwrap is also used in industry where large oversized industrial products and equipment require protection from damage during transport or storage. 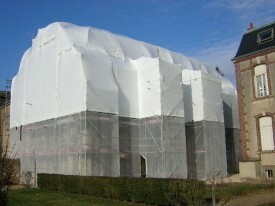 When applied the shrinkwrap bonds to itself and forms a drum tight covering that is both tear resistant and UV resisant. This is due to the addition of UV inhibitors and EVA in the plastic which allows the shrinkwrap to last outdoors for up to 2 years without damage. 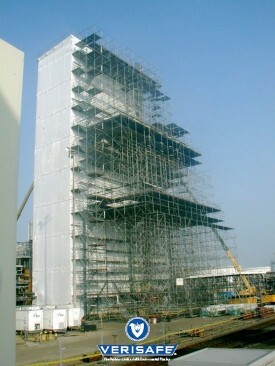 Our VERISAFE FR300 & FR320 Flame Retardant Shrink film for Scaffold, Encapsulation and Containment is an industry leader as its Certified LPS 1207 and 1215 BRE Audited and used exclusively by the Oil & Gas Industry where the highest standards are expected at all times. Shrinkwrap rolls are available in different sizes from 5m wide to 12m wide in standard grade, or 7m x 15m in Flame Retardant. 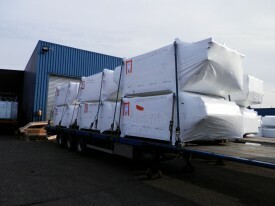 Shrinkwrap rolls are white in colour and UV stabilized, lasting up to 2 years outdoors in all weathers. Flame Retardant Construction / Scaffold Grade class B and also Industrial Flame Retardant shrink film certified LPS 1207 and 1215 BRE Audited are available from stock. 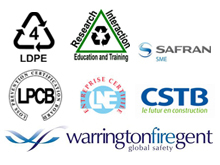 Verisafe Certifications are customised for each country and auditing of their products is an essential requirement for their quality and process. The production process is ISO 9001-2008 certified. This is to certify that VERISAFE Films are accurately monitored during the entire production process, from initial order to final transport to their worldwide supply points. VERISAFE strive for complete transparency from production to consumption. Backed by years of research and development, VERISAFE Films are manufactured resulting in the most specialised Shrink Film on the market today. 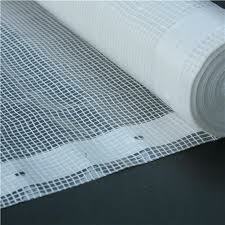 These Shrink Films are used extensively by the worlds leading companies in Encapsulation and Containment. This is determined during the production by choice of Extruder and the blow ratio. As a result the shrinkage properties and mechanical properties of the film are determined. 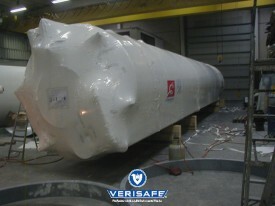 Verisafe Films have similar contraction strength both vertically and horizontally making them unique in this respect to other shrink films on the market and thus ensuring perfect stretching of the film and also permanent shrinkage force over long periods and therefore superior resistance to wind gusts with a guarantee of up to 10 Beaufort. Welding strength is determined by the raw materials used as well as the capacity of the Extruder. The welding of sheets and seams is very important and must be permanent for a long time as welds that dissolve or tear apart over time weaken the tension of the film and thus the stability of the work overall. Verisafe films are noted worldwide for their superior welding ability and rigidity over long periods in extreme environments. Different formulations are used depending on which region of the world the films are to be used in, ranging between 3-15 months and up to 2-4 years. The choice of additives is determined in order to ensure welding strength and shrinkage properties in all climate conditions. 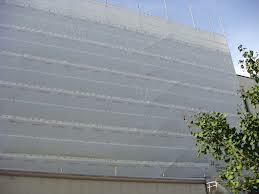 Commercial/Industrial grade shrinkwrap creates a moulded fit that keeps industrial and commercial products protected. 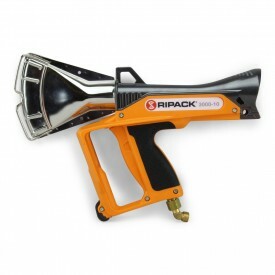 Shrinkwrap Ireland are now main Distributors in Ireland for all Ripack Heat guns and Accessories. Please contact us for parts catalogue should you wish to order. Shrinkwrap Irl. supply industrial grade shrinkwrap and Flame Retardant shrinkwrap throughout Ireland with our main customers being the Construction & Scaffolding business, industrial and commercial sectors along with the Marine Industry. Our Industrial shrinkwrap is a very strong and durable plastic film ideal for Encapsulation, Scaffold wrap, storage and Containment. Shrinkwrap Ireland are the sole distributors throughout Ireland for the VERISAFE range of Shrink Film and Flame retardant shrink film which is now recognised throughout Europe as having the highest specification for a product in this area. 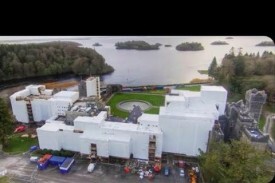 Verisafe Films have been used on some of the largest projects in both Ireland and across Europe in such areas as Oil & Gas installations, Oil rigs, large pharmaceutical operations, roadway and large infrastructure projects where the highest specifications are required. Shrinkwrap Ireland can provide materials and training for companies wishing to complete their own shrink wrapping or we can arrange to have a team of experienced professionals do the job for you. No matter which avenue you choose there is no going back to traditional methods of encapsulation after you have experienced shrinkwrap.